ShibuiMarkets, with its predecessor, is the pioneer Emerging Markets bond portal on the web with a 20-year track record. It is a fixed income social trading network that combines bond market data with relevant trading ideas or insights through social trading tools and automatically generated messages. Bond trading insights (Shibui) come from other viewers through social trading tools and from automatically generated customized trading ideas. 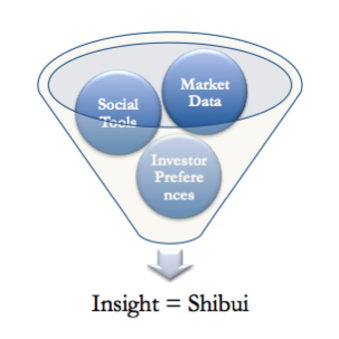 ShibuiMarkets has developed social tools that allow you to share bond insights with others. You can search bonds using an advanced bond screener. Bond search results can be refined dynamically and without the need to conduct a new search. Once a bond search has been identified you can save them as ‘saved searches” or “filters”. You can share those filters and provide insights with one another. You can view and copy other’s trades and favorite bond filters. You can register for free and access a wealth of information here. We also offer a premium service with more data for a small subscription fee. Subscribe here. Register today to experience our service.